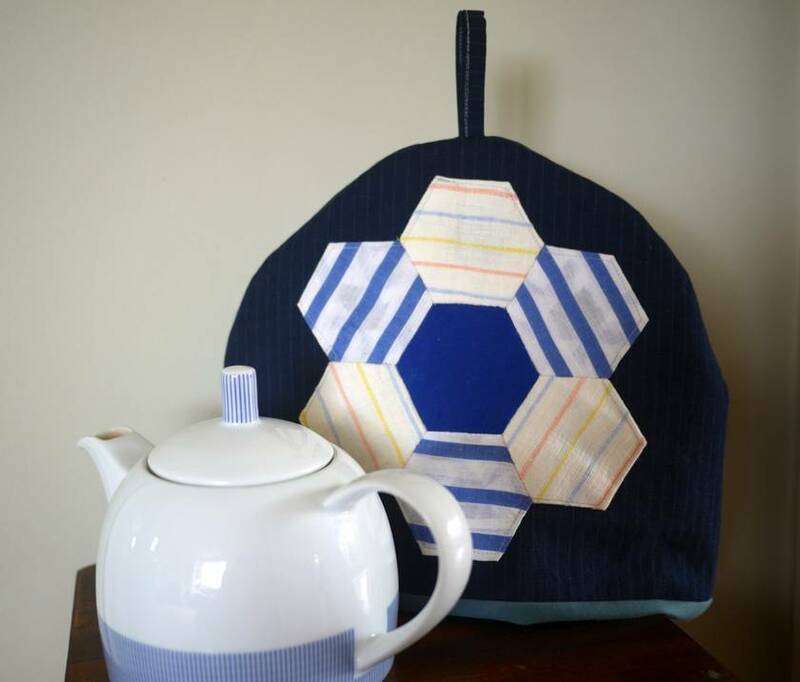 Stunning tea cosy decorated on both sides with Granny's garden patchwork hexagons. 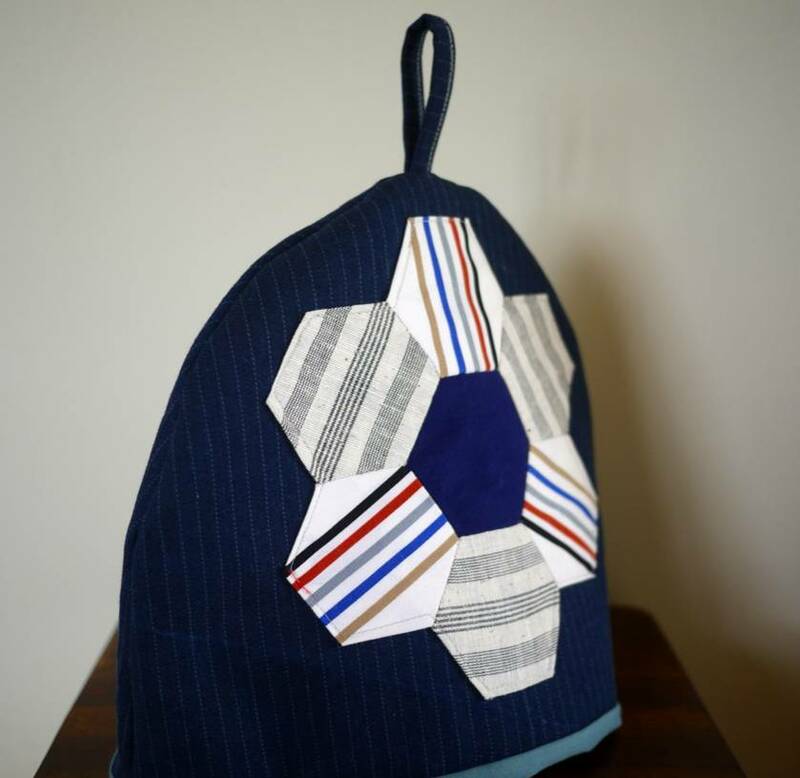 Fabrics are cotton and polyester with pure wool batting. Fully washable at a low temperature. Fully lined. 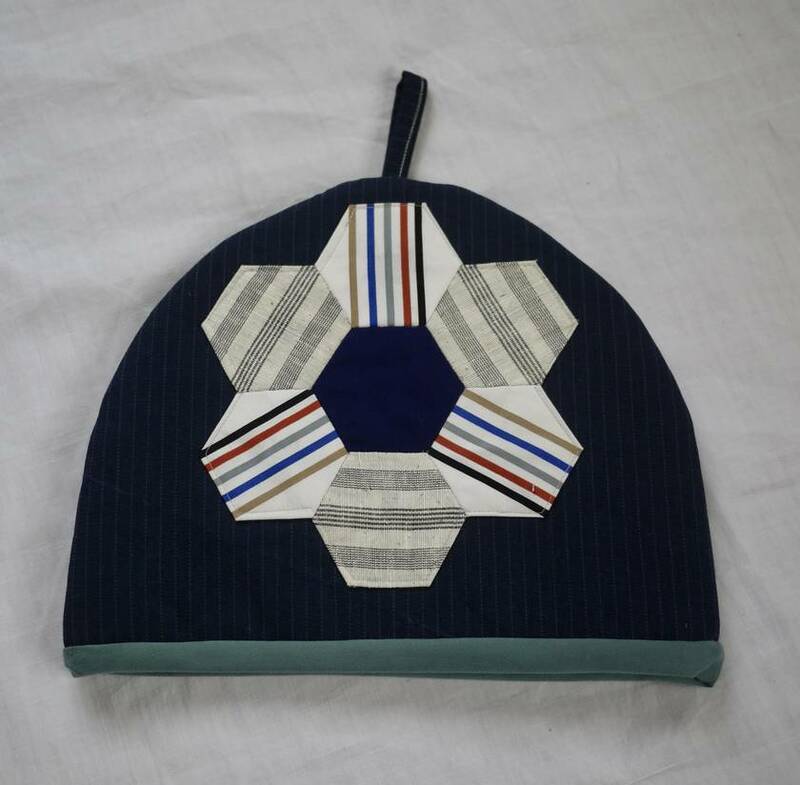 Size is 23cm high and 32cm wide. A wonderful gift as is easy to post, or a special treat to enhance your kitchen.